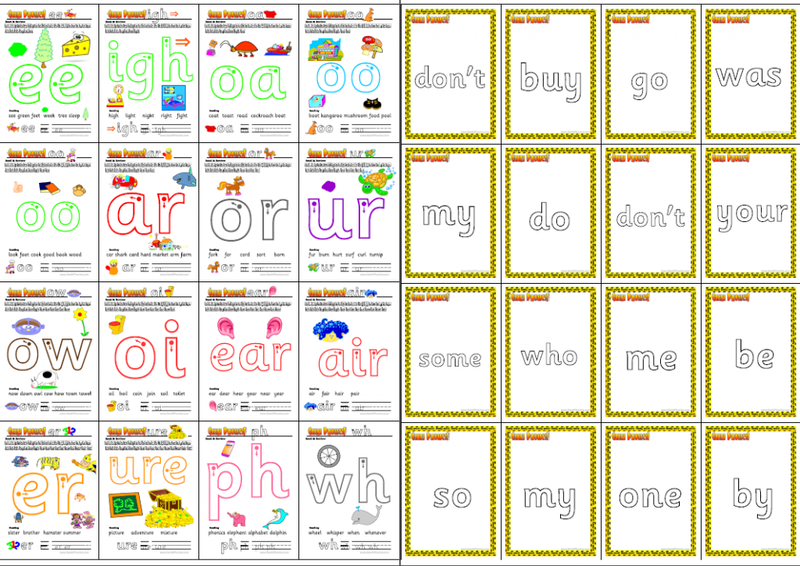 With more and more parents using Genki Phonics at home, I’ve tidied up the main phonics page and moved the in depth “for teachers” videos & VIP printables to this page. So if you’ve got your students, adults or kids, up to speed with their speaking, now’s the time to get the reading and writing just as Genki! Teach your children to read in 7 hours or less with Genki Phonics! First we have the portrait A4 posters (with stories,) recommended for front of class use. *You need to be a Teacher’s Set owner to download these files. The stories and posters are in the same pdf file, the story coming after the corresponding poster. And here’s how to use it in class …. Using Phonics to teach Writing? And here are the workbooks to use with the writing part. Again these are for VIP members who have the Teacher’s Set. NEW: Here are mini phonics cards along with the first set of funky words! NEW: And there is the new Genki Phonics Homework App for your students. 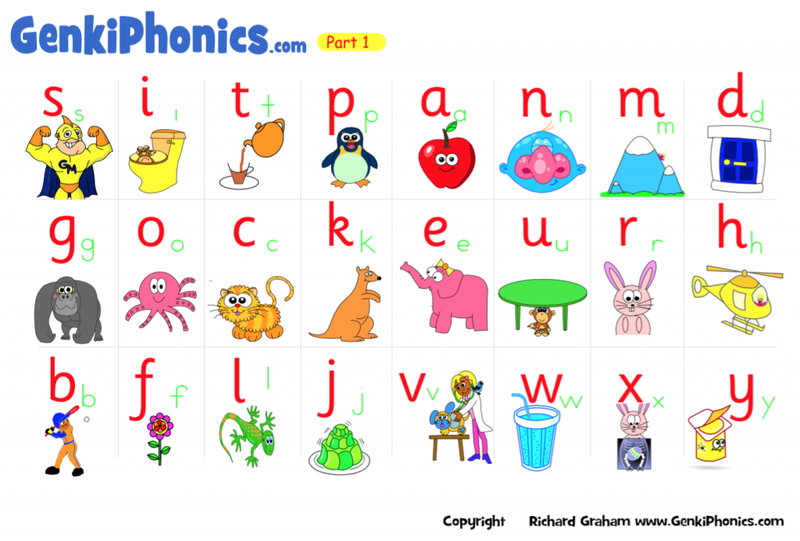 If you’re wanting a quick online review of the phonics sounds, then check out the table below. If you’re on an iPad check out the Genki Phonics Soundboard App Version of this chart. 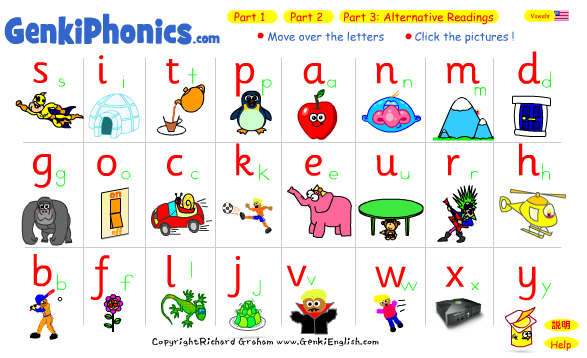 Below we also have some online phonics games for use after the course above: Which game can you do the fastest? The idea of phonics is that you teach your students the various English sounds, then the letters they correspond to. The advantage of this over simply teaching the alphabet is that once they have mastered the main sounds, they can then read many English words. On this page you’ll find the full Genki Phonics posters course and some online practice games. So tell your students about this page so they can practise at home, it’s a great way to show parents how well you are teaching them in class! 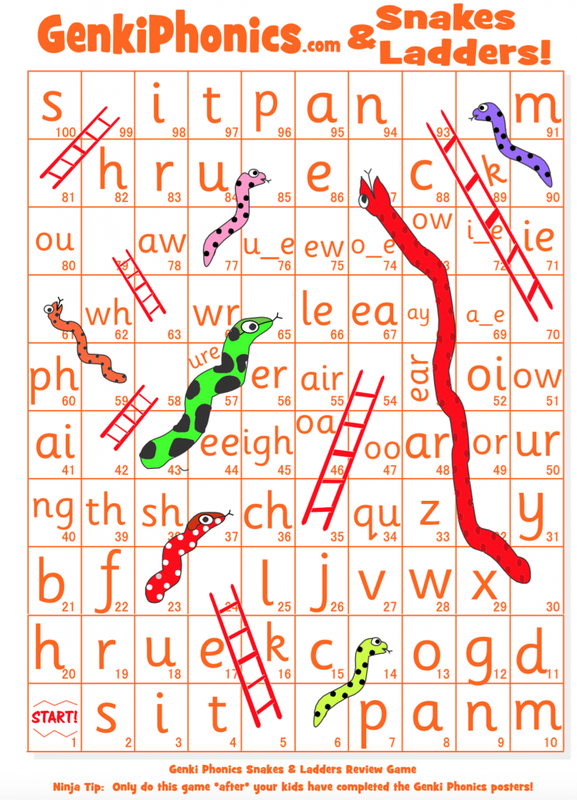 With the phonics posters the children will automatically get the correct sounds, but for parents and teachers you can simply click the sounds at the top of this page to hear how they should sound. You have the vowels, the consonants and several “blend” and “combination” sounds where consonants are used together. Move your mouse over the sounds to hear them pronounced, or click on the pictures to hear them. Most areas of the world pronounce consonants in the same way, however regional accents appear in the vowel sounds. New Yorkers have different vowels from Texans, Londoners are different from Glaswegians. When you teach, choose one, but make sure the kids also know there are many variations. The games on here are great as the time limits really make sure the kids start listening and not just looking at the letters (hence why kids will always beat adults!). The pronunciation has no strange accents and above all they are fiendishly addictive games! Enjoy your Genki Phonics, you can find all the materials above and if you’re not a VIP member yet, order your Teacher’s Set and you’ll have full VIP access!